Managing a growing community with multiple members, editors, and admins is not as easy as some make it look like. With the right tools, you are going to have an easier time keeping everything on the right track though. GuideMe for WordPress is a simple tool that lets you leave tips for your users. To get started, drag a pin to the element that needs to be described. You can customize the text for each tip. Let’s not forget that only admins who are logged in will be able to see your pins. Users have the option to add an unlimited number of pins to each page. 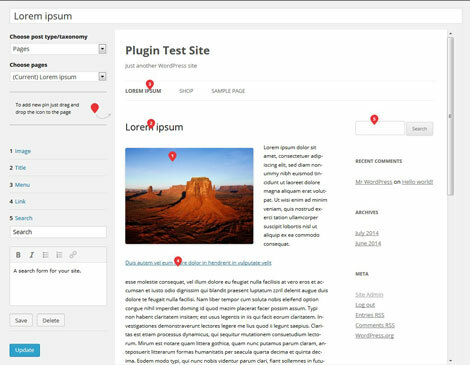 The plugin supports various post types and taxonomies. You can try it for free.